Let someone know that you want to be their special someone forever when you post this self-explanatory emoticon. You don't have to type a single word when an image like this one is designed to say it all with style. 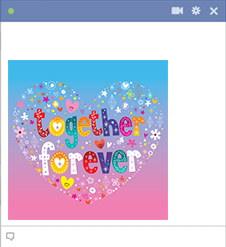 Sharing emoticons on Facebook is a great way to enhance your conversations and express what's on your mind.